Corporate treasurers now have ever-more-sophisticated tools to help get a handle on currency exposures and manage increasingly volatile FX market risk. 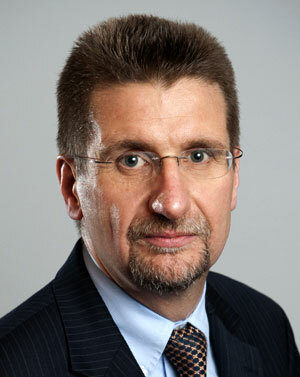 Plus, the increased volatility ended the historical correlations between many currency pairs, and with the rising interest in emerging and frontier markets, corporate treasuries cannot get by trading and hedging only the currencies of the most-developed economies—as was common in the 1990s, according to Ivan Asensio, senior vice president, FX risk advisory at HSBC. “Today, corporate treasuries need to manage their entire portfolio of currencies because no one knows if the Australian dollar, Indian rupee or Turkish lira might be the next currency that materially impacts financial results,” adds Wolfgang Koester, chairman and CEO of FX risk platform vendor FiREapps. This is the view of Bob Elliott, vice president and assistant treasurer at Eaton—a $21.8 billion global power systems provider that tracks 30 currencies in its portfolio. 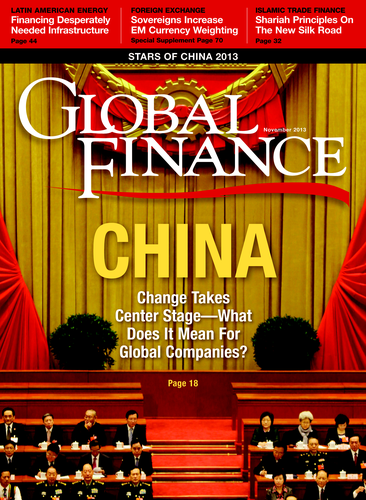 The treasury organizations in each of Eaton’s regional headquarters—Cleveland, Ohio; São Paulo, Brazil; Morges, Switzerland and Shanghai, China—handle daily interactions with operations in terms of banking, cash management and FX trading, while the Cleveland office handles the company’s global exposure having higher-level conversations on anticipatory hedging, hedging forecast exposure and dealing with responsibilities like setting financial policies and running the commercial paper program, says Elliott. As with many complex business processes, the likelihood of finding a dedicated turnkey application to handle a corporate treasury’s soup-to-nuts FX exposure needs are slim at best. Typically, platforms deliver a few segments of the FX risk lifecycle. Some treasury management system providers offer FX risk management as a native feature rather than an addition—Wall Street Systems’ IT2, for instance—but more often they offer it as an add-on module, like tm5 from Bellin Treasury Software, SunGard’s AvantGard platform and Kyriba’s eponymous enterprise software platform. Corporate treasurers can also investigate various stand-alone platforms to address particular issues in the currency exposure realm, such as identifying a firm’s global FX risk exposure, valuing FX derivative holdings and identifying netting opportunities. FiREapps, DerivActiv and Integral specialize in those respective tasks. Global operator Eaton is one of the early adopters of FX trading algorithms, notes Integral’s Srivastava, who has witnessed more corporate treasuries adopting their use in the past two years. The more broadly a company can look to net, the greater the benefits. Ideally, if a firm could net across all of its FX transactions globally, it would gain the most savings. If a company decides to net transactions at the regional level, it still could witness savings, but just not as much as if it had been done centrally, says Srivastava. As the FX markets grow more volatile and vendors start offering shiny new platforms to help treasurers cope, Eaton plans to continue managing its exposure in the same way. “We’re focused on how we can use existing tools more efficiently and adapt them better to our needs, more so than having the outside world develop more tools,” says Elliott. But he says they may look at the FiREapps platform to improve their FX risk management process. One area Eaton would like to improve is managing regulatory change like the Dodd-Frank Act in the US and the EU’s European Market Infrastructure Regulation, which are transforming how the over-the-counter (OTC) derivatives markets operate. Finding the necessary information can be challenging, and Eaton “will fish any hole” to get it, says Elliott. For companies that have been hedging their FX risk with these OTC instruments for a number of years, complying with the new regulations might take some administrative work, HSBC’s Asensio estimates. For those companies that are new to the international market and have not been exposed to these instruments previously, it will add a new layer of administrative requirements and probably take them a little longer to execute their first hedge. Companies have survived large changes similar to Dodd-Frank, Asensio notes. When every company needed to implement FASB 133 and change how it booked the hedges in its financials, the requirement did not stop firms from hedging, he notes. It just made them change their hedging strategies.